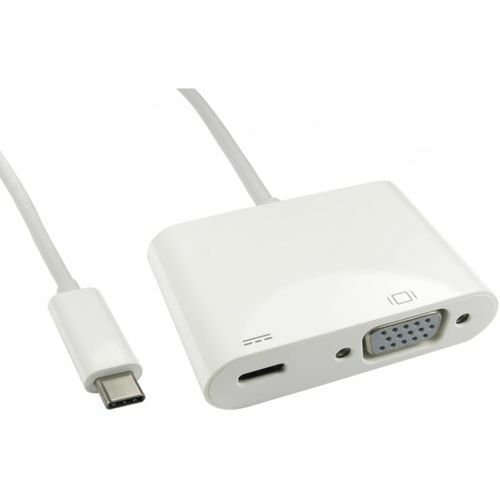 The USB3C-VGACAB-WPD is a USB-C to VGA Adapter (DP Alt-mode) with a USB-C charging port. It is designed to transmit signals from USB-C computers to VGA monitors so that you can watch videos or slideshows on the big screen. It also features a USB-C female port so you can charge the host computer and supply power for the adapter simultaneously. It can work on Macbooks or Googles new Chromebook Pixel as well as other USB-C supported devices.